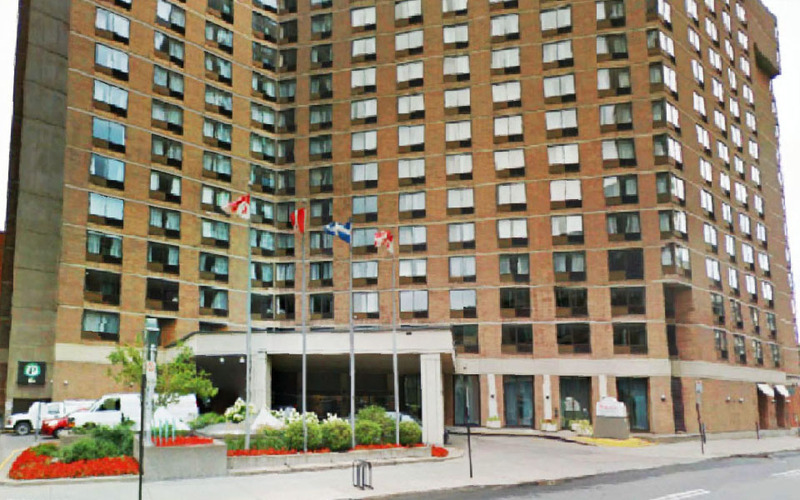 Montreal, 2122 November 2013, The workshop took place in the New Residence Hall, see picture on the right, which is the only photo on this page which I did not snap myself, but I re-edited from an image downloaded from the Internet. The sessions proceeded in a very pleasant and congenial atmosphere. The first day ended with a workshop dinner at LAtelier, where I tried a tartare de bison (was good!). After the last session, some of us were invited by Gwyn Cambell, organizer of the workshop, to his house, where his wife Marian treated us to a delicious dinner of cuisine quebecoise. I only had opportunity to make photographs on the day after, because my flight back was scheduled for very late afternoon (well, okay, I could also have made snapshots earlier, but had other things on my mind). I at least had the presence of mind to make this picture of Montreal from my hotel-room window shortly before checking out. The overcast sky with occasional light drizzle of the previous days just beginning to break into individual clouds. Then I took a walk through the town. 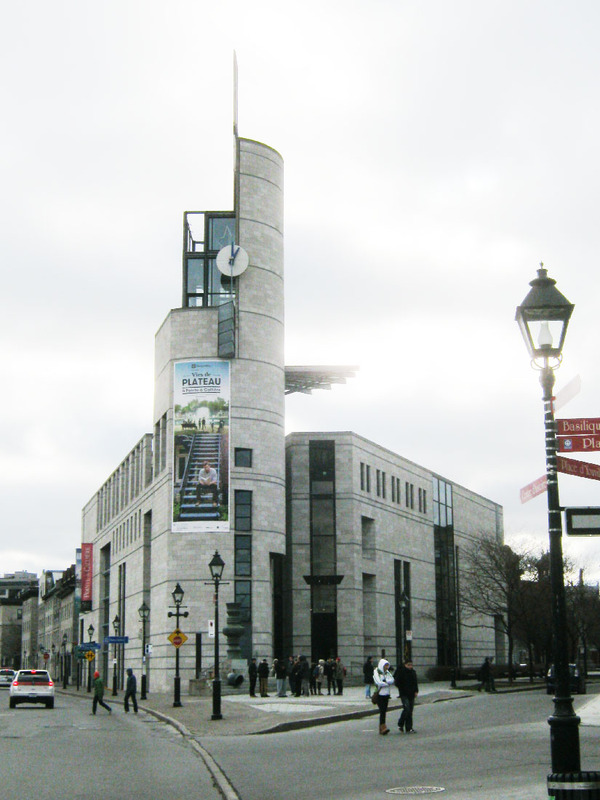 On the right: my firstand furthestdestination was the Montréal Museum of Archaeo- logy and History at Pointe-à-Callière. 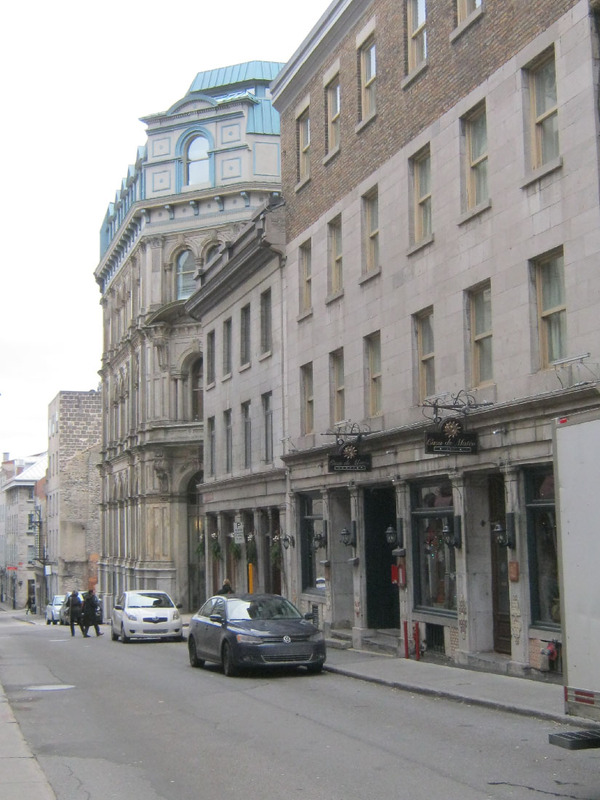 The entire basement was one great archaeological site, exposing the original beginnings of Montreal, and one could simply walk through it. 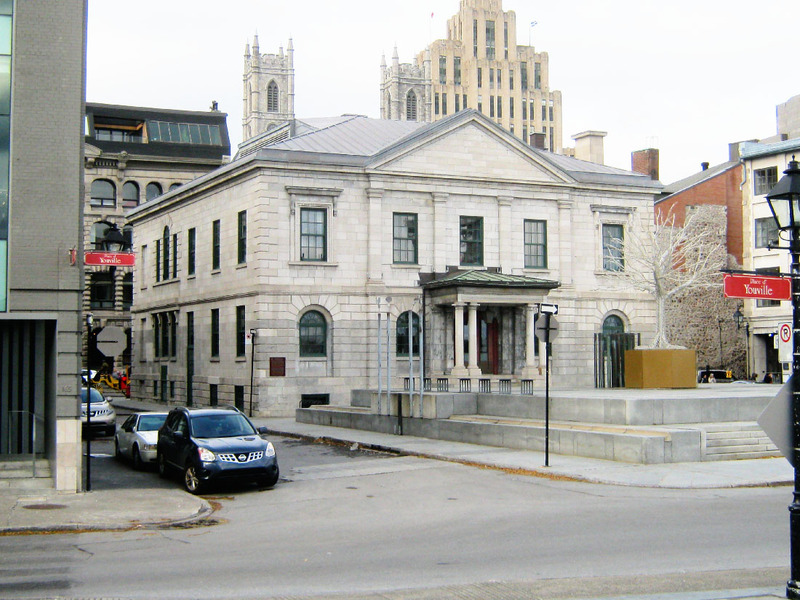 Below: in front of the museum was the Place Royale, with the old (former) custom house right across it. 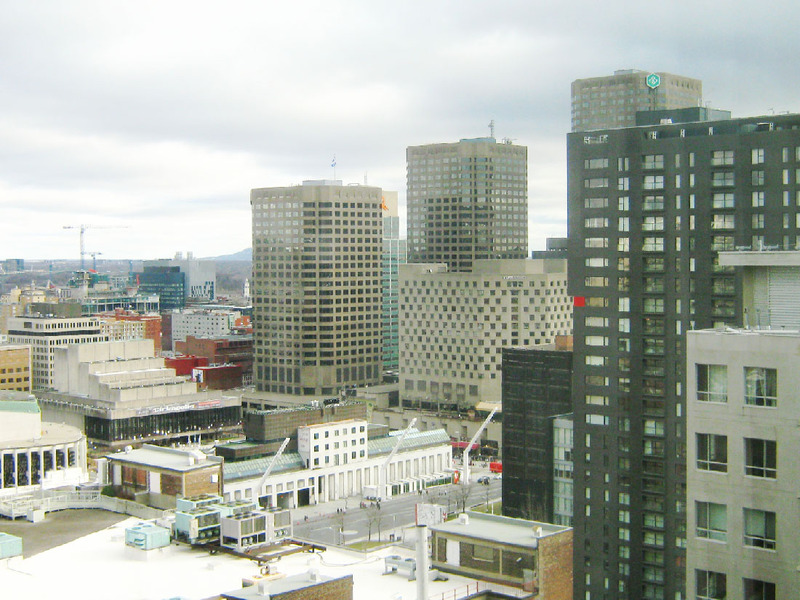 The building with the silvery dome at the visible far end of the lefthand waterfront row is the Marché Bonsécours; The suspension bridge in the distance is the Pont Jacques Cartier across the St. Lawrence River (Fleuve Saint-Laurent); The quay on the right is Quai King-Edward, the old port of Montreal. 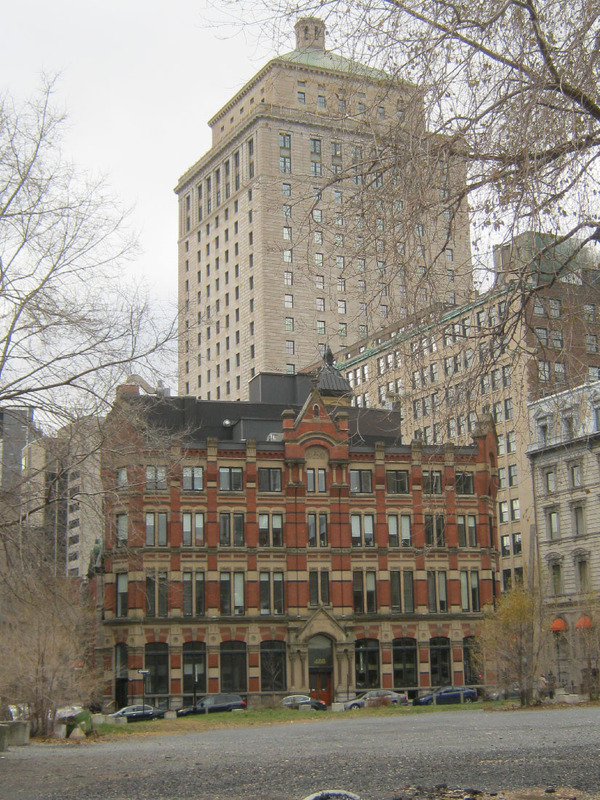 an old red-brick building on the Rue St. Jean. somewhere near Rue St. François Xavier (I forgot to note down the exact place). 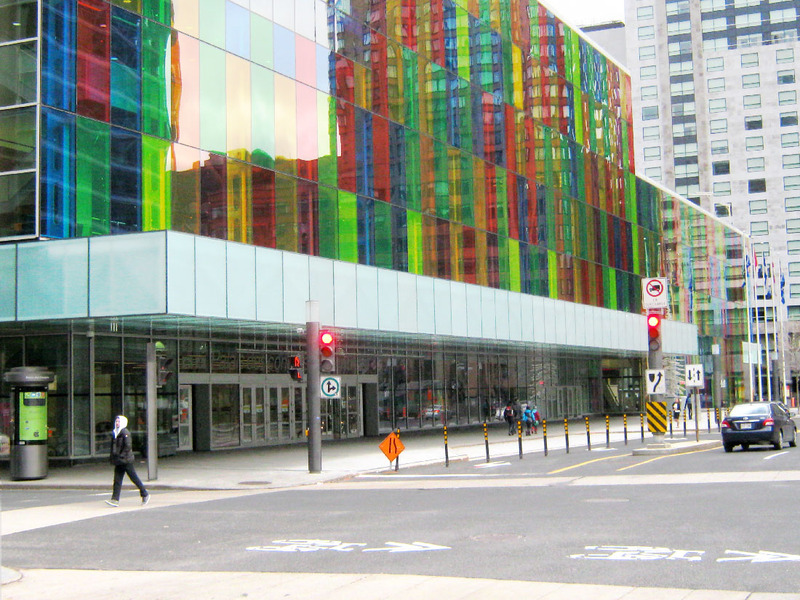 Finally, I also was at the Montreal World Trade Centre which is a huge glass-covered shopping promenade (but not one of those new-fangled dime-a-dozen malls you find everywhere). The picture on the right shows the front facade facing Square-Victoria.